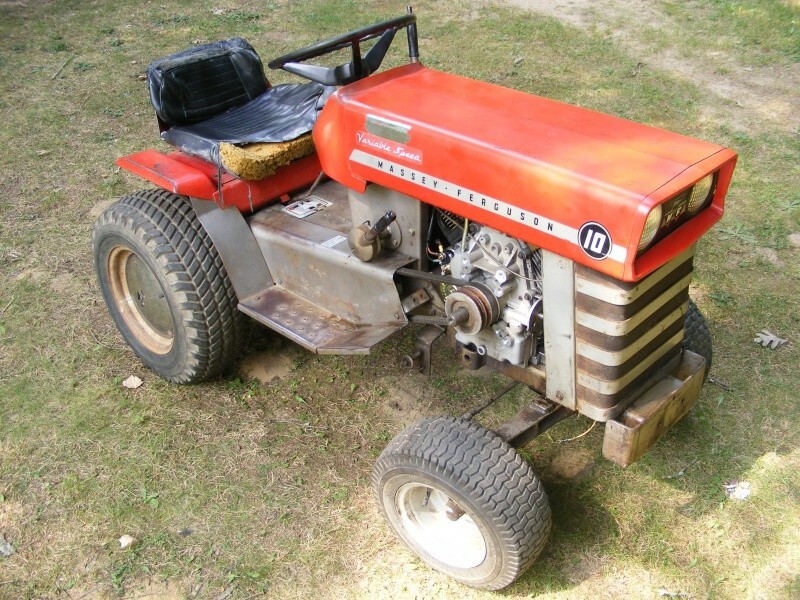 Got my first tractor, mf10, got the deck off and am starting to work on it, will post some pics soon. This is it with the other engine swapped in , the wheelie bars need to be fabricated as well as the hitch and weight brackets yet. I see you went with belt drive.Mind if I ask why belt? As far as the hitch,you can get a nice one from midwest supercub from their website.Also a foot controlled gas pedal .I would pull the front axel and weld it back on as far forward as you can get it.As far as weight brackets,I will post photos how I made the ones for in front of my back tires.Maybe it will give you sone ideas.